Frontier Airlines will begin charging a fee for carry-on bags to passengers who buy discount tickets on the airline through all external booking channels, including third-party booking sites. This change will take effect this summer, according to Frontier Airlines, which says it will announce later this spring the start date for its new carry-on bag new policy. Frontier Airlines will charge passengers who buy its discounted ‘Basic’ fares through external booking channels from $25 to $100 for their carry-on bags. It is not clear if the size of the fee depends on the size and weight of the carry-on bag, or if it will depend on which external booking channel a customer uses to buy his or her ticket. However, passengers who buy Frontier Airlines’ own ‘Economy’ fares via the carrier’s own website ‒ which Frontier claims its ‘Best Fare Guarantee’ ensures are always the cheapest fares it offers anywhere ‒ will not be charged for bringing on board a carry-on bag. The airline says its rationale in charging carry-on bag fees to buyers of discount tickets from external booking channels is that “Frontier’s most loyal customers have made it very clear that finding overhead bin space for carry-on bags has become unacceptably difficult”. 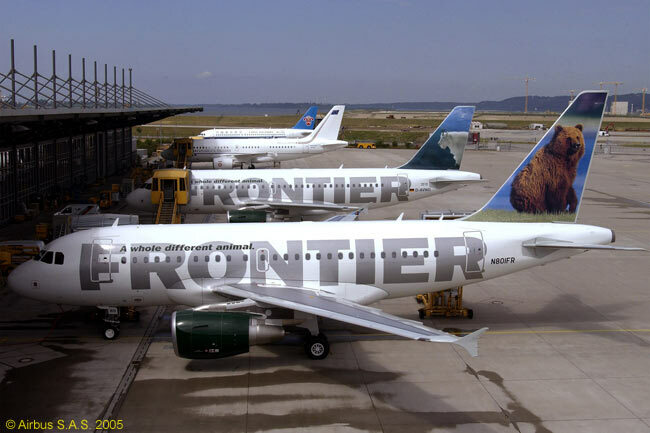 “This change will increase overhead space for Frontier’s most loyal customers and speed the boarding process for all passengers,” Frontier claims. However, the airline does not explain why levying a carry-on bag fee for ticket purchases from external booking channels will necessarily reduce the number of carry-on bags brought on board any given flight. Instead, it appears the airline’s rationale for charging an extra fee to third-party ticket buyers probably really lies in a wish to reduce any ticket commissions or fees it pays to external booking channels. Frontier Airlines notes that all passengers, regardless of the fare each pays and where they purchase their tickets, will still be allowed to bring on board free of charge one carry-on item with dimensions of no more than 18 inches by 14 inches by 8 inches, provided the item fits under the seat. A list of other items that are exempt from the carry-on bag fee can be found at www.FlyFrontier.com. From July 1, the airline will also begin charging passengers who buy ‘Basic’ fares from external booking channels or ‘Economy’ fares from its own website $1.99 for each soft drink (coffee, tea, soda and juice) they ask for during their flights. All on-board purchases will continue to require a credit or debit card. On that date, also, Frontier will charge buyers of third-party-sold ‘Basic’ fares, and ‘Economy’ fares sold through FlyFrontier.com, $20 per bag for each of the first two pieces per passenger of those passengers’ checked luggage. The $20-per-checked-bag fee will apply when ‘Basic’ and ‘Economy’ passengers pay for their checked bags at the time of booking, If they choose instead to pay at the airport to check bags, the fee rises to $25 per bag. These fee-generating moves will form part of Frontier’s transformation into what it calls an “ultra low cost carrier” ‒ a term by which U.S. carriers Allegiant Air and Spirit Airlines characterize themselves. Both are known for offering low basic fares but charging lots of additional ‒ and often unavoidable ‒ fees over and above the fare. For the $1.99 beverage fee, all passengers will now receive a full can of soda or juice and customers choosing coffee will be offered free refills. In addition, Frontier will be making improvements to its beverage selection, including introducing a premium tea brand and Boyer’s Premium 100% Arabica coffee, a Colorado brand. Beverages will continue to be free for members of Frontier’s EarlyReturns frequent-flyer program who have reached the program’s Ascent and Summit tier levels, as well as for all customers who purchase the airline’s Classic and Classic Plus fares. Buyer of these fares must show their boarding pass or EarlyReturns membership cards in order to receive free beverages. Similarly, Ascent- and Summit-level members, as well as buyers of Frontier’s ‘Classic’ and ‘Classic Plus’ fares, will continue not to have to pay for their first and second checked bags. Another Frontier Airlines policy change that will affect only buyers of ‘Basic’ tickets sold through external booking channels is a reduction in the amount of mileage points these tickets earn in Frontier’s EarlyReturn loyalty program. 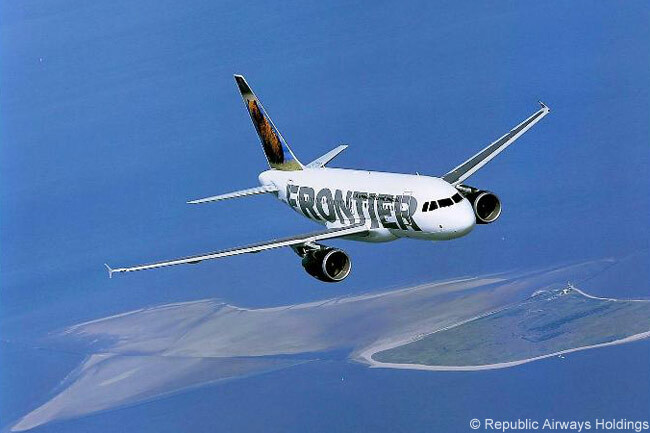 From July 1, Frontier will reduce the EarlyReturns mileage-point accrual rate on Basic fares from 50 per cent of miles flown to 25 per cent of miles flown. However, all FlyFrontier.com customers will continue to earn a minimum of 100 per cent of frequent-flyer miles flown. Economy, Classic and Classic Plus ticket-holders will continue to receive 100 per cent, 125 per cent and 150 per cent of miles flown, respectively, regardless of whether these tickets are booked on its website, through an airport ticket office or through its call center. Frontier’s own lowest fares are its ‘Economy’ tickets. These fares offer amenities which include a carry-on bag allowance, an advanced seat assignment, lower change fees, and more EarlyReturns miles than Basic fares. The airline’s ‘Classic’ tickets include additional amenities, among them two free bags and no change fees prior to the day of travel. Frontier’s ‘Classic Plus’ fares are its maximum-flexibility fares, including being fully refundable.